Chrystal is a member and senior consultant for Kraft Enterprise Systems. A seasoned IT veteran, she has over 17 years’ experience in both Information Technology and Enterprise Resource Planning systems. Chrystal holds a variety of certifications including Microsoft Dynamics AX, GP, CRM, Citrix, and Windows Server. With a broad background encompassing ERP, CRM, Document Management, and Infrastructure deployments, Chrystal is an expert in documentation and project management. 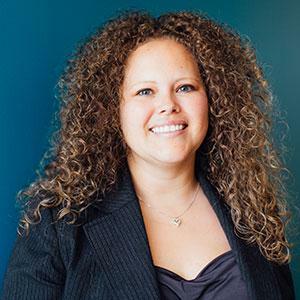 Chrystal has been responsible for numerous software upgrades, new software deployments, and business process improvements initiatives during her tenure at Kraft Enterprise Systems. She began her career managing the helpdesk at Trevecca Nazarene University providing front-line support for hardware and software issues for the entire Nashville campus. At the Zeal group, Chrystal provided managed IT services for clients. Chrystal installed, configured, and managed servers for the deployment of Microsoft Dynamics GP. Chrystal also provided support for infrastructure and network services as part of her technical consultant role there. Chrystal has been a lead technical consultant at Kraft for the past ten years, focusing on the planning, installation, configuration, and support for both the software and hardware components of Kraft’s deployments. Chrystal has led our Customer Relationship and Document Management practice areas with a primary focus on business process reengineering. Her unique background of network, hardware, infrastructure, and software provides a broad perspective to assist our clients with their initiatives. Chrystal graduated in 1998 with a bachelor's degree in business administration and computer science from Trevecca Nazarene University in Nashville, Tennessee.